Whether you're a beginner needing advice or more experienced and looking for challenging projects. Model Rail will help you to get the most from your hobby. Buy a single copy or subscription to Model Rail magazine. 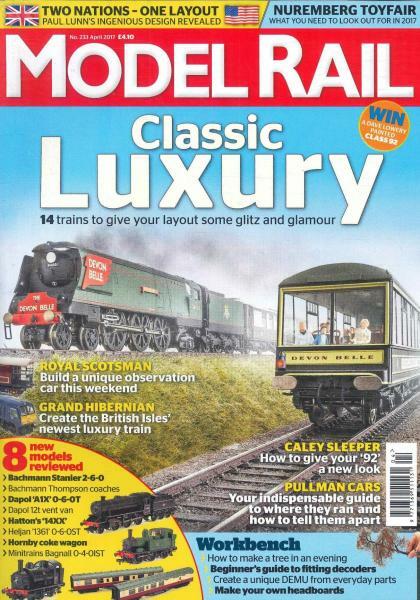 If you are a fan of model railways, then you don’t need to look at any other magazines. This monthly is devoted to the ‘world’s greatest hobby’. This magazine is essential for anyone who is interested as it is filled with reviews, photography, inspirational ideas and information. First published in 1997, Model Rail is a British railway magazine focusing on Model Railways. Offering a fresh approach, it shows you how to get the most out of your hobby. It is published 13 times a year and features articles about railways in Britain, layouts, weathering, building kits, kit bashing, scratch building, and other model making techniques. The pages guide you through your railway journey and give you practical advice for all experience levels.